1. We closed the first Lecture with the close of the fifth century. And yet a number of things had their beginnings back in those early centuries, which were not even mentioned in the first Lecture. We had just entered the awful period known in the world's history as "The Dark Ages." Dark and bloody and awful in the extreme they were. The persecutions by the established Roman Catholic Church are hard, cruel and perpetual. The war of intended extermination follows persistently and relentlessly into many lands, the fleeing Christians. A "Trail of Blood" is very nearly all that is left anywhere. Especially throughout England, Wales, Africa, Armenia, and Bulgaria. And anywhere else Christians could be found who were trying earnestly to remain strictly loyal to New Testament teaching. 2. We now call attention to these Councils called "Ecumenical," or Empire wide. It is well to remember that all these Councils were professedly based upon, or patterned after the Council held by the Apostles and others at Jerusalem (see Acts 15:1), but probably nothing bearing the same name could have been more unlike. We here and now call attention to only eight, and these were all called by different Emperors, none of them by the Popes. And all these held among the Eastern or Greek churches. Attended, however, somewhat by representatives from the Western Branch or Roman Churches. 3. The first of these Councils was held at Nice or Nicea, in A.D. 325. It was called by Constantine the Great, and was attended by 318 bishops. The third was called by Theodosius II, and by Valentian III. This had 250 bishops present. It met at Ephesus, A.D. 431. The fourth met at Calcedon, A.D. 451, and was called by Emperor Marian; 500 or 600 bishops or Metropolitans (Metropolitans were City pastors or First Church pastors) were present. During this Council the doctrine of what is now known as Mariolatry was promulgated. This means the worship of Mary, the mother of Christ. This new doctrine at first created quite a stir, many seriously objecting. But it finally won out as a permanent doctrine of the Catholic Church. The fifth of these eight councils was held at Constantinople (which was the second to be held there). This was called by Justinian, A.D. 553, and was attended by 165 bishops. This, seemingly, was called mainly to condemn certain writings. In the year A.D. 680 the Sixth Council was called. This was also held at Constantinople and was called by Constantine Pegonator, to condemn heresy. During this meeting Pope Honorius by name was deposed and excommunicated. However, at this time infallibility had not yet been declared. The Seventh Council was called to meet at Nicea A.D. 787. This was the second held at this place. The Empress Irene called this one. Here in this meeting seems to have been the definite starting place, of both "Image Worship" and "Saints Worship." You can thus see that these people were getting more markedly paganized than Christianized. The last of what were called the "Eastern Councils," those, called by the Emperors, was held in Constantinople, in A.D. 869. This was called by Basilius Maredo. The Catholic Church had gotten into serious trouble. There had arisen a controversy of a very serious nature between the heads of the two branches of Catholicism--the Eastern and Western, Greek and Roman--Pontius the Greek at Constantinople and Nicholas the 1st at Rome. So serious was their trouble, that they had gone so far as to excommunicate each other. So for a short time Catholicism was entirely without a head. The council was called mainly to settle, if possible, this difficulty. This break in the ranks of Catholicism has never, even to this day, been satisfactorily settled. Since that far away day, all attempts at healing that breach have failed. The Lateran-power since then has been in the ascendancy. Not the Emperors, but the Roman Pontiffs calling all Councils. The later Councils will be referred to later in these lectures. 4. There is one new doctrine to which we have failed to call attention. There are doubtless others but one especially -- and that "Infant Communion." Infants were not only baptized, but received into the church, and being church members, they were supposed to be entitled to the Lord's Supper. How to administer it to them was a problem, but it was solved by soaking the bread in the wine. Thus it was practiced for years. And after awhile another new doctrine was added to this -- it was taught that this was another means of Salvation. As still another new doctrine was later added to these, we will again refer to this a little later in the lectures. 5. During the 5th Century, at the fourth Ecumenical Council, held at Chalcedon, 451, another entirely new doctrine was added to the rapidly growing list -- the doctrine called "Mariolatry," or the worship of Mary, the Mother of Jesus. A new mediator seems to have been felt to be needed. The distance from God to man was too great for just one mediator, even though that was Christ, God's Son, the real God-Man. Mary was thought to be needed as another mediator, and prayers were to be made to Mary. She was to make them to Christ. 6. Two other new doctrines were added to the Catholic faith in the 8th Century. These were promulgated at the Second Council held at Nicea (Nice), the Second Council held there (787). The first of these was called "Image Worship", a direct violation of one of the commands of God. "Thou shalt not make unto thee any graven image," (Ex. 20:3, 4, 5). Another addition from Paganism. Then followed the "worship of Saints." This doctrine has no encouragement in the Bible. Only one instance of Saint worship is given in the Bible and that is given to show its utter folly -- the dead rich man praying to Abraham, (Luke 16:24-3l). 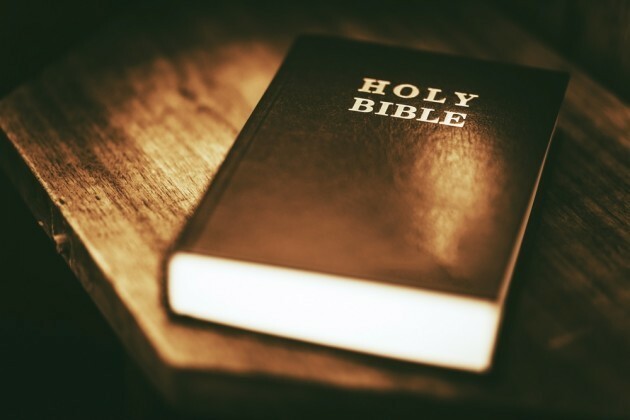 These are some, not all of the many revolutionary changes from New Testament teachings, that came about during this period of Church history. 7. During the period that we are now passing through the persecuted were called by many and varied names. Among them were Donatists, Paterines, Cathari, Paulicians, and Ana Baptists; and a little later, Petro-Brussians, Arnoldists, Henricians, Albigenses, and Waldenses. Sometimes one group of these was the most prominent and sometimes another. But some of them were almost always prominent because of the persistency and terribleness of their persecution. 8. Let it not be thought that all these persecuted ones were always loyal in all respects to New Testament teachings. In the main they were. And some of them, considering their surroundings, were marvelously so. Remember that many of them at that far away, time, had only parts of the New Testament or the Old Testament as to that. The book was not printed. It was written in manuscript on parchment or skins or something of that kind, and was necessarily large and bulky. Few, if any, families or even simple churches had complete copies of the whole Bible. Before the formal close of the Canon (end of fourth century) there were probably very few simple manuscripts of the entire New Testament. Of the one thousand known manuscripts only about 30 copies included all the books. 9. Furthermore, during all the period of the "Dark Ages," and the period of the persecution, strenuous efforts were made to destroy even what Scripture manuscripts the persecuted did possess. Hence in many instances these people had only small parts of the Bible. 10. It is well to note also that in order to prevent the spread of any view of any sort, contrary to those of the Catholics very extreme plans and measures were adopted. First, all writings of any sort, other than those of the Catholics, were gathered and burned. Especially was this true of books. For several centuries these plans and measures were strictly and persistently followed. That is, according to history, the main reason why it is so difficult to secure accurate history. About all persistent writers and preachers also died martyr deaths. This was a desperately bloody period. All of the groups of persistent heretics (So-called) by whatever name distinguished, and wherever they had lived, were cruelly persecuted. The Donatists and Paulicians, were prominent among the earlier groups. The Catholics, strange as it may seem, accused all who refused to depart from the faith with them, believe with them--accused them of being heretics, and then condemned them as being heretics. Those called Catholics became more thoroughly paganized and Judaized than they were Christianized, and were swayed far more by civil power, than they were by religious power. They made far more new laws, than they observed old ones. 11. The following are a few of the many new variations that came about in New Testament teachings during these centuries. They are probably not always given in the order of their promulgation. In fact it would sometimes be next to impossible to get the exact date of the origin of some of these changes. They have been somewhat like the whole Catholic system. They are growths of development. In the earlier years especially, their doctrines or teachings were subject to constant change -- by addition or subtraction, or substitution or abrogation. The Catholic Church was now no longer, even if it had ever been, a real New Testament Church. It no longer was a purely executive body, to carry out the already made laws of God, but had become actively legislative, making new ones, changing or abrogating old ones at will. 12. One of their new doctrines or declarations about this time was "There is no salvation outside of the Church" -- the Catholic Church, of course, as they declared there was no other -- be a Catholic or be lost. There was no other alternative. 13. The doctrine of Indulgences and the Sale of Indulgences was another absolutely new and serious departure from New Testament teachings. But in order to make that new teaching really effective, still another new teaching was imperatively necessary: A very large Credit Account must somehow be established -- a credit account in heaven, but accessible to earth. So the merit of "good works" as a means of Salvation must be taught, and as a means of filling up, putting something in the credit account, from which something could be drawn. The first large sum to go into the account in heaven was of course the work of the Lord Jesus. As He did no evil, none of His good works were needed for Himself, so all His good works could and would of course, go into the credit account. And then in addition to that, all the surplus good works (in addition to what each might need for himself) by the Apostles, and by all good people living thereafter, would be added to that credit account, making it enormously large. And then all this immense sum placed to the credit of the church -- the only church(?)! and permission given to the church to use as needed for some poor sinning mortal, and charging for that credit as much as might be thought wise, for each one needed the heavenly credit. Hence came the Sale of Indulgences. Persons could buy for themselves or their friends, or even dead friends. The prices varied in proportion to the offense committed -- or to be committed. This was sometimes carried to a desperate extreme, as admitted by Catholics themselves. Some histories or Encyclopedias give a list of prices charged on different sins for which Indulgences were sold. 14. Yet another new doctrine was necessary, yea imperative, to make thoroughly effective the last two. That new doctrine is called Purgatory, a place of intermediate state between heaven and hell, at which all must stop to be cleansed from all sins less than damning sins. Even the "Saints" must go through purgatory and must remain there until cleansed by fire -- unless they can get help through that credit account, and that they can get only through the prayers or the paying for Indulgences, by those living. Hence the Sale of Indulgences. One departure from New Testament teachings lead inevitably to others. In the Nationalities: The Greeks mainly are Slavs, embracing Greece, Russia, Bulgaria, Serbia, etc., speaking Greek. The Romans are mainly Latins, embracing Italy, France, Spain, South and Central America, Mexico etc. The Greek Catholics reject sprinkling or pouring for baptism. The Romans use sprinkling entirely, claiming the right to change from the original Bible plan of immersion. The Greek Catholics continue the practice of Infant Communion. The Romans have abandoned it though once taught it as another means of Salvation. The Greeks in administering the Lord's Supper give the wine as well as the bread to the laity. The Romans give the bread only to the laity -- the priests drink the wine. The Greeks have their priests to marry. The Roman priests are forbidden to marry. The Greeks reject the doctrine of Papal "Infallibility," the Romans accept and insist upon that doctrine. The above are at least the main points on which they differ -- otherwise the Greek and Roman Catholic churches, it seems, would stand together. 17. I again call your attention to those upon whom the hard hand of persecution fell. If fifty million died of persecution during the 1,200 years of what are called the "Dark Ages," as history seems positively to teach -- then they died faster than an average of four million every one hundred years. That seems almost beyond the limit of, human conception. As before mentioned, this iron hand, dripping with martyr blood, fell upon Paulicians, Arnoldists, Henricians, Petro Brussians, Albigenses, Waldenses and Ana-Baptists -- of course much harder upon some than others. But this horrid part of our story we will pass over hurriedly. 18. There came now another rather long period of Ecumenical Councils, of course not continuously or consecutively. There were all through the years many councils that were not Ecumenical, not "Empire Wide." These Councils were largely legislative bodies for the enactment or amendment of some civil or religious (?) laws, all of which, both the legislation and the laws, were directly contrary to the New Testament. Remember these were the acts of an established church -- a church married to a Pagan government. And this church has become far more nearly paganized than the government has become Christianized. NOTE: We insert here this parenthetical clause, as a warning. Let Baptist Churches beware of even disciplinary and other varieties of resolutions, which they sometimes pass in their conferences, which resolutions might be construed as laws or rules of Church government, The New Testament has all necessary laws and rules. 20. The extreme limit of this little book precludes the possibility of saying much concerning these councils or law-making assemblies, but it is necessary to say some things. 21. The first of these Lateran or Western Councils, those called by the popes, was called by Calixtus II, A.D. 1123. There were present about 300 bishops. At this meeting it was decreed that Roman priests were never to marry. This was called the Celibacy of the priests. We of course do not attempt to give all things done at these meetings. 22. Years later, 1139 A.D., Pope Innocent II, called another of these Councils especially to condemn two groups of very devout Christians, known as Petro-Brussians and Arnoldists. 23. Alexander III called yet another, A.D. 1179, just forty years after the last. In that was condemned what they called the "Errors and Impieties" of the Waldenses and Albigenses. 24. Just 36 years after this last one, another was called by Pope Innocent III. This was held A.D. 1215, and seems to have been the most largely attended of possibly any of these great councils. According to the historical account of this meeting, "there were present 412 bishops, 800 Abbots and priors, Ambassadors from the Byzantine court, and a great number of Princes and Nobles." From the very make-up of this assembly you may know that spiritual matters were at least not alone to be considered. At that time was promulgated the new doctrine of "Transubstantiation," the intended turning of the bread and wine of the Lord's Supper into the actual and real body and blood of Christ, after a prayer by the priest. This doctrine among others, had much to do with stirring up the leaders of the Reformation a few centuries later. This doctrine of course taught that all those who participated in the supper actually ate of the body and drank of the blood of Christ. Auricular confession -- confessing one's sins into the ear of a priest -- was another new doctrine seemingly having its beginning at this meeting. But probably the most cruel and bloody thing ever brought upon any people in all the world's history was what is known as the "Inquisition," and other similar courts, designed for trying what was called "heresy." The whole world is seemingly filled with books written in condemnation of that extreme cruelty, and yet it was originated and perpetuated by a people claiming to be led and directed by the Lord. For real barbarity there seems to be nothing, absolutely nothing in all history that will surpass it. I would not even attempt to describe it. I will simply refer my readers to some of the many books written on the "Inquisition" and let them read and study for themselves. And yet another thing was done at this same meeting, as if enough had not been done. It was expressly decreed to extirpate all "heresy." What a black page -- yea -- many black pages were written into the world's history by these terrible decrees. 26. Yet another Council was called to meet at Lyons. This was called by Pope Innocent IV, in 1245 A.D. This seems to have been mainly for the purpose of excommunicating and deposing Emperor Frederick I of Germany. The Church, the adulterous bride at the marriage with the State in 313 in the days of CONSTANTINE THE Great, has now become the head of the house, and is now dictating politics of State government, and kings and queens are made or unmade at her pleasure. 27. In 1274 A.D. another Council was called to bring about the reuniting of the Roman and Greek branches of the great Catholic Church. This great assembly utterly failed to accomplish its purpose. Please consider studying the articles published each week in our church bulletin. Do you have a topic you are interested in learning more about. Consider the Topical Index to get you started. Presented by Brother Jeff Barron, pastor of Edgewood Missionary Baptist Church, Danville, Georgia, at the Rocky Mountain Missionary Baptist Association Meeting hosted by Landmark Missionary Baptist Church, Lakewood, CO on August 10, 2012. Presented by Brother Jim Brasseal at the Rocky Mountain Missionary Baptist Association Meeting hosted by Bradley Road Missionary Baptist Church, Colorado Springs, CO on August 8, 2014. Presented by Brother Jim Brasseal at the Rocky Mountain Missionary Baptist Association Meeting hosted by Landmark Missionary Baptist Church, Lakewood, CO on August 10, 2012. Presented by Brother Jim Brasseal at the Rocky Mountain Missionary Baptist Association Meeting hosted by Salt Valley Landmark Missionary Baptist Church, Clearfield, Utah on August 13, 2011. Written by Brother Jeffery Barron and details the Old and New Testament scriptures concerning John the Baptist. Presented by Brother Jim Brasseal at the Rocky Mountain Missionary Baptist Association Meeting held at Loveland Baptist Church, Loveland, Colorado on August 8, 2008. A small booklet written By Dr. J. M. Carroll (1858-1931) that details the history of the Lord’s churches through the ages and identifies the marks of a true New Testament Bible teaching church. Written by Brother Jeffery Barron and examines the false teaching of Calvinism based on the scriptures. This article originally appeared in the May 1999 edition of the “West Florida Baptist News” (a publication of the West Florida Baptist Institute). Used with permission. Presented at the Rocky Mountain Missionary Baptist Association Meeting held at Landmark Missionary Baptist Church, Lakewood, Colorado on August 10, 2007. Bro Pierce is Pastor of Black Hills Missionary Baptist Church in Rapid City, South Dakota. Why are Baptists not Protestants? Can we love the sinner and hate the sin? © 2018 Landmark Missionary Baptist Church | Organized September 4, 1955 | All rights reserved | Design: HTML5 UP.